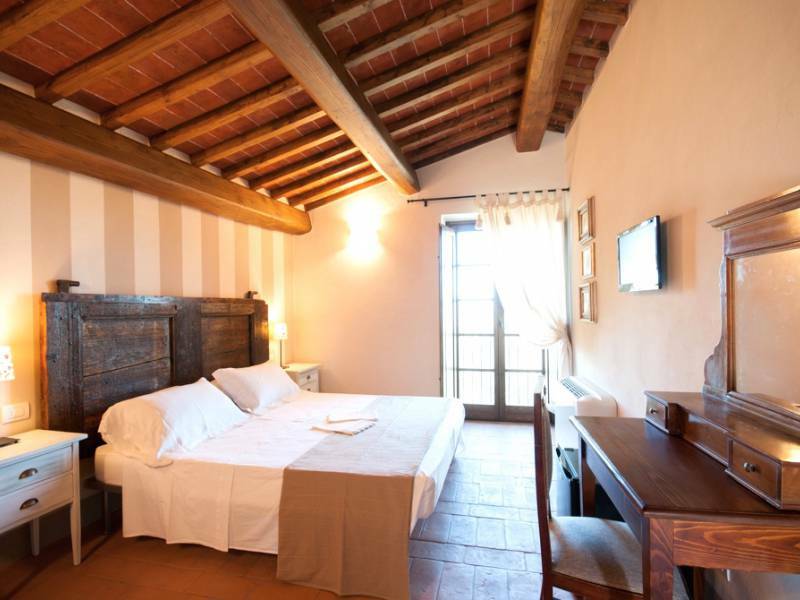 Near the beautiful town of Cortona, Lucia and her husband opened this lovely agriturismo in the spring of 2015. I visited the farmhouse on a beautiful Saturday afternoon in October and was received extremely friendly with coffee and homemade chocolate cake! Lucia then proudly led me around the grounds. 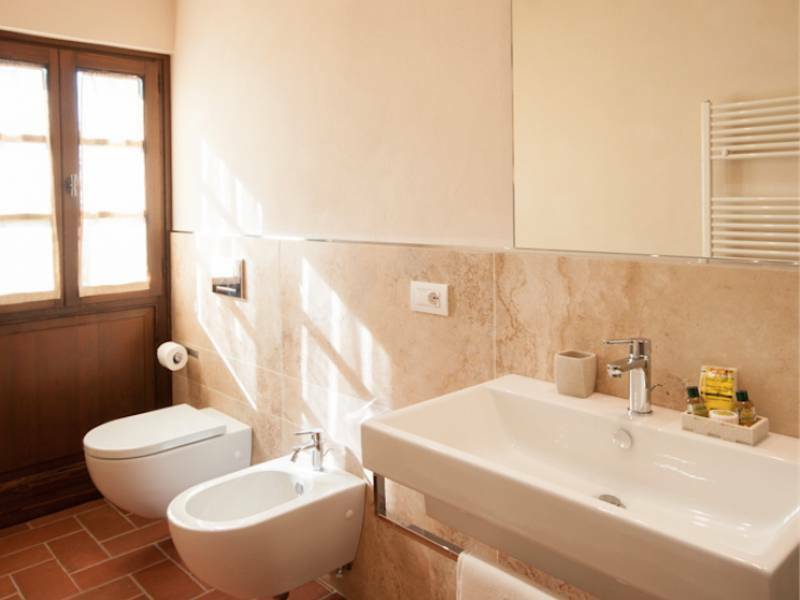 Until recently she, her husband and their son lived in the town of Arezzo. 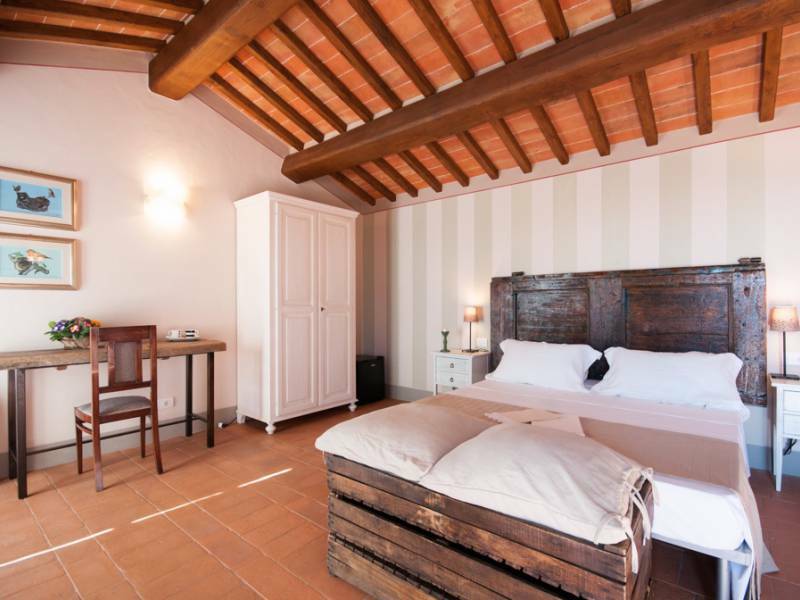 A few years ago they decided to change course and to restore the dilapidated family farm into a home for themselves and an agriturismo for tourists. 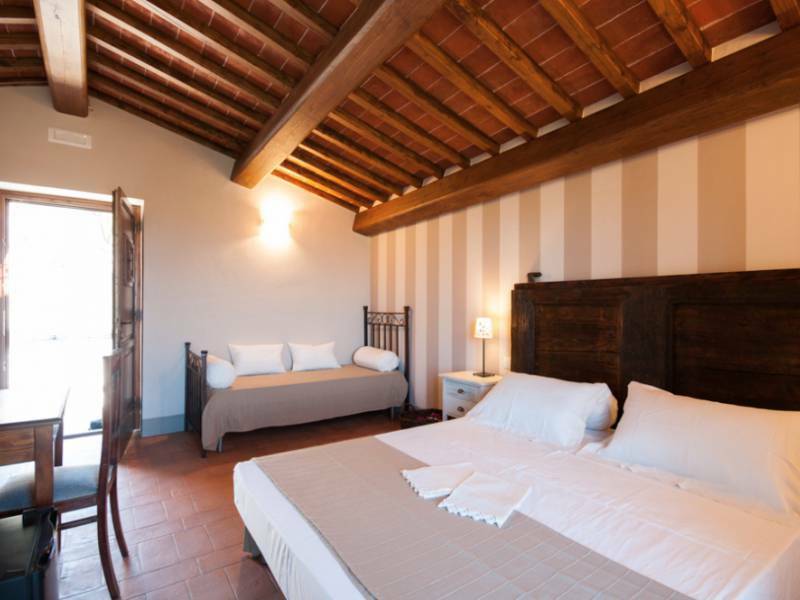 The beautifully restored manor house is located amongst the olive groves with a total of 600 olive trees. From the terrace you have beautiful views of the valley Valdichiana. It is wonderfully quiet but very near Cortona where you will find several restaurants and shops. 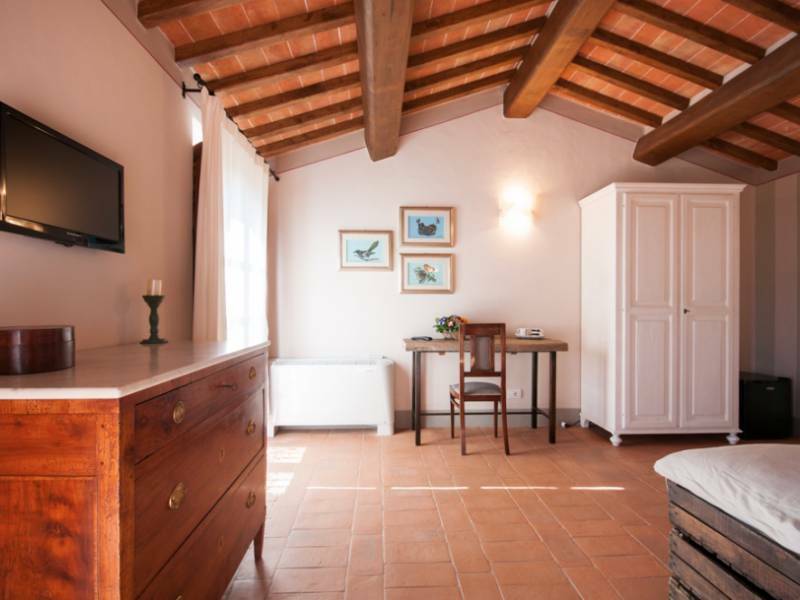 In the garden of the agriturismo is a swimming pool with sun loungers and parasols and they have transformed the former granary into a mini spa. 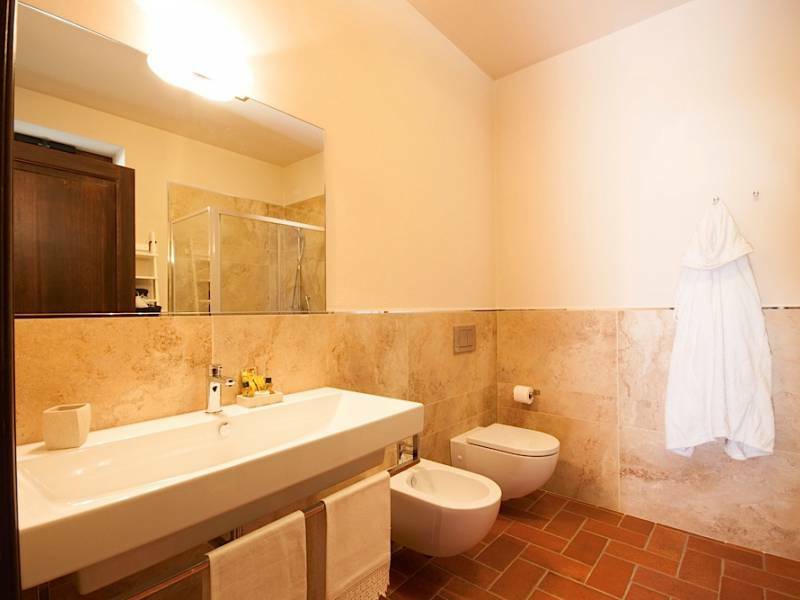 Against a small fee and at reservation you can enjoy a relaxing massage or Turkish bath. In the summer months the owner cooks once a week a Tuscan menu for its guests and on request it is possible to follow a cooking course (against payment). In the summer breakfast is served outside on the terrace and with less nice weather in the cozy living room. 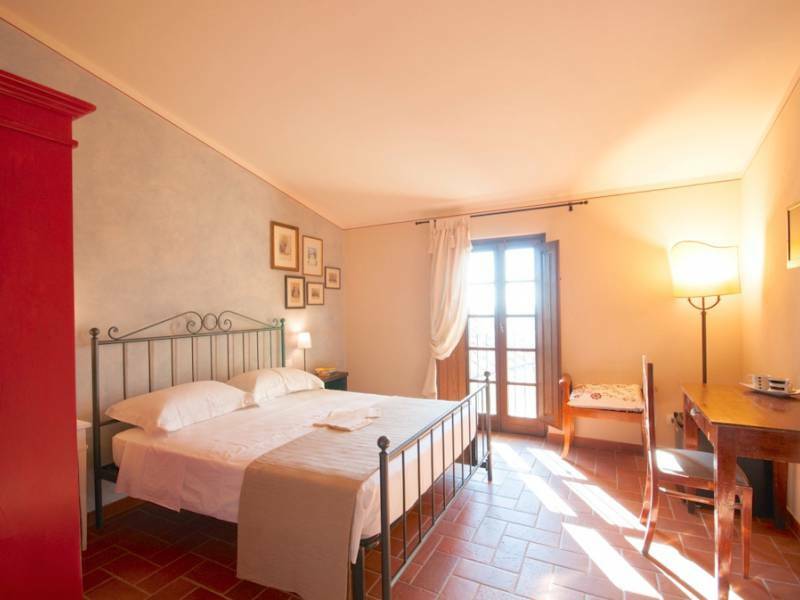 The agriturismo has a total of six rooms. There are four double rooms and two triple rooms. 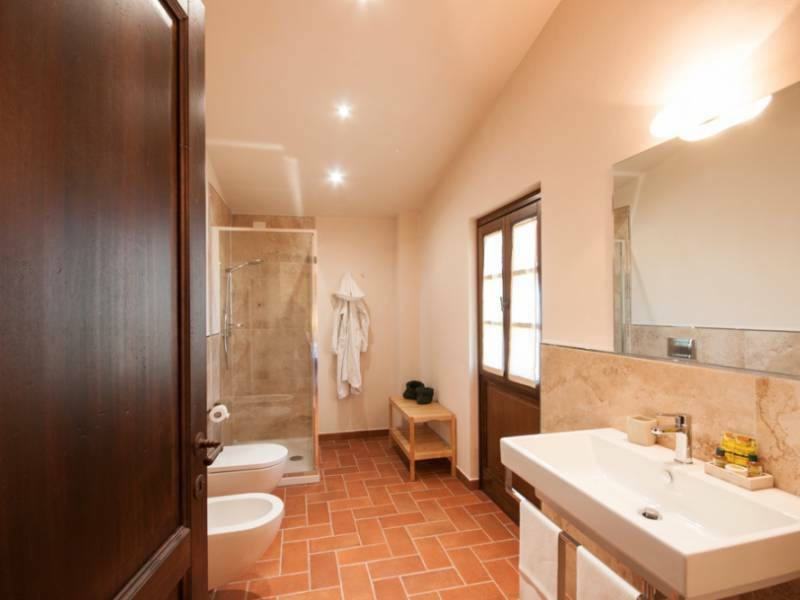 Two rooms can be connected so they are suitable for a family of four or five people. 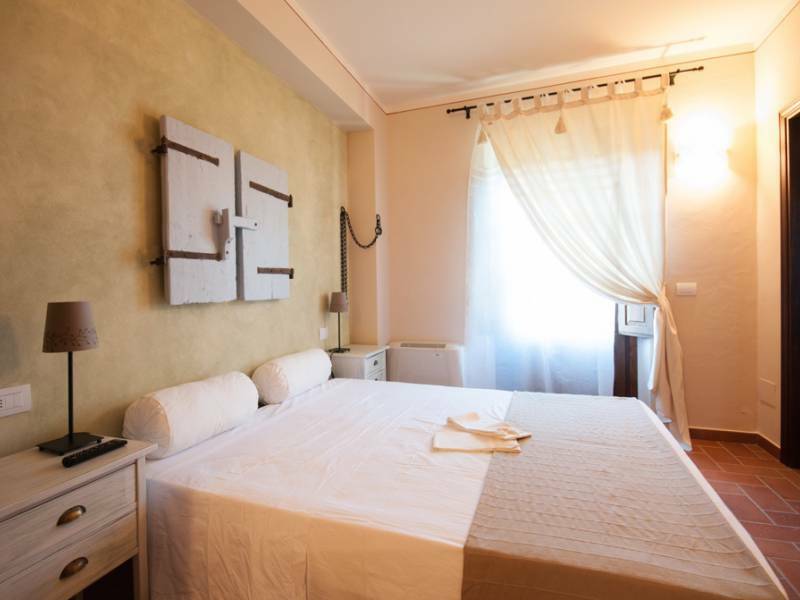 The rooms are cozy decorated with warm colors and natural materials, and all have air conditioning, satellite TV, free WiFi, a minibar, kettle and hairdryer. 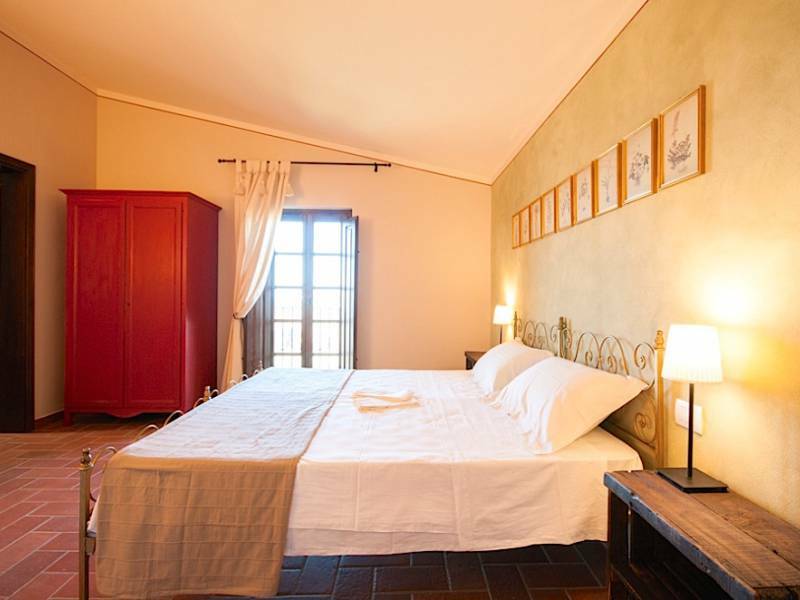 This is a very nice and cozy small agriturismo with friendly and welcoming owners. Cortona is really a must to visit, a pleasant town with nice shops and many restaurants and bars. The beautiful Trasimeno lake is good accessible from the agriturismo and in less than an hour's drive you can visit the famous cities Assisi, Arezzo, Perugia and Siena. 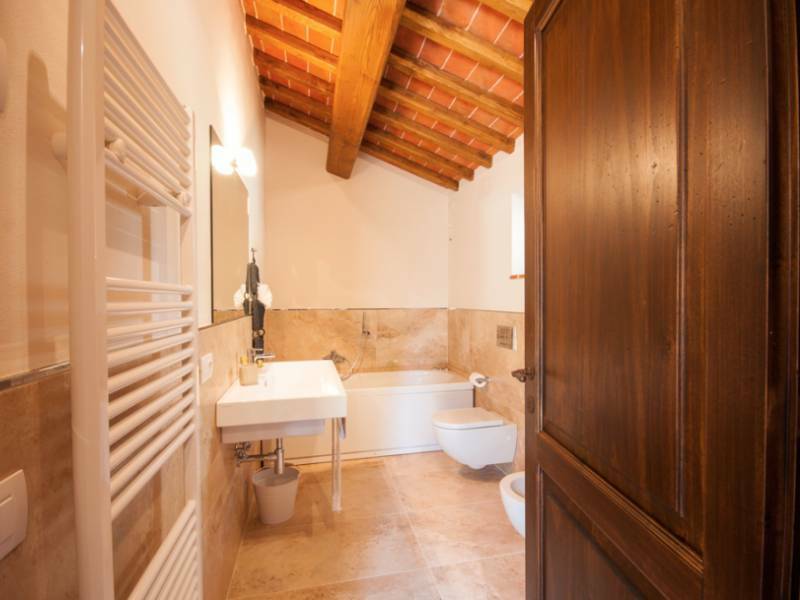 Deluxe room in a detached house with private garden. 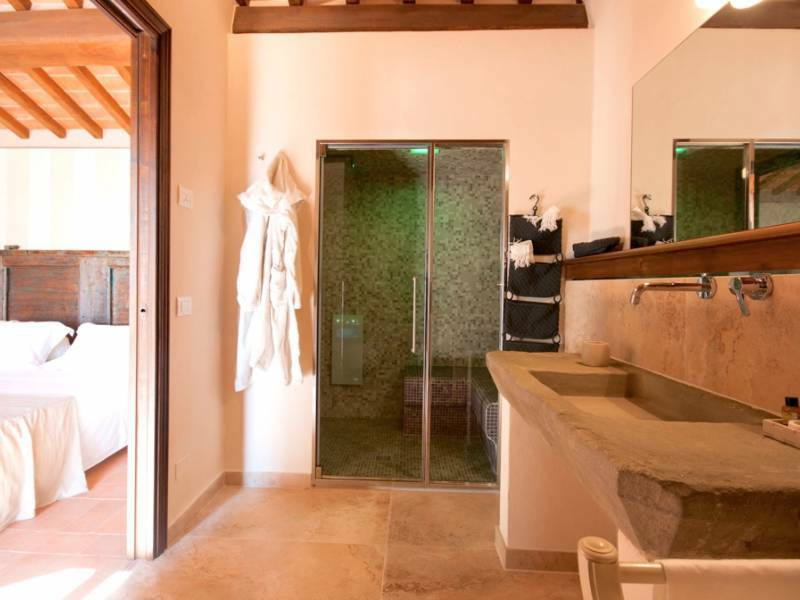 The spacious room has a double bed and a bathroom with a Hammam shower (which is a steam shower). 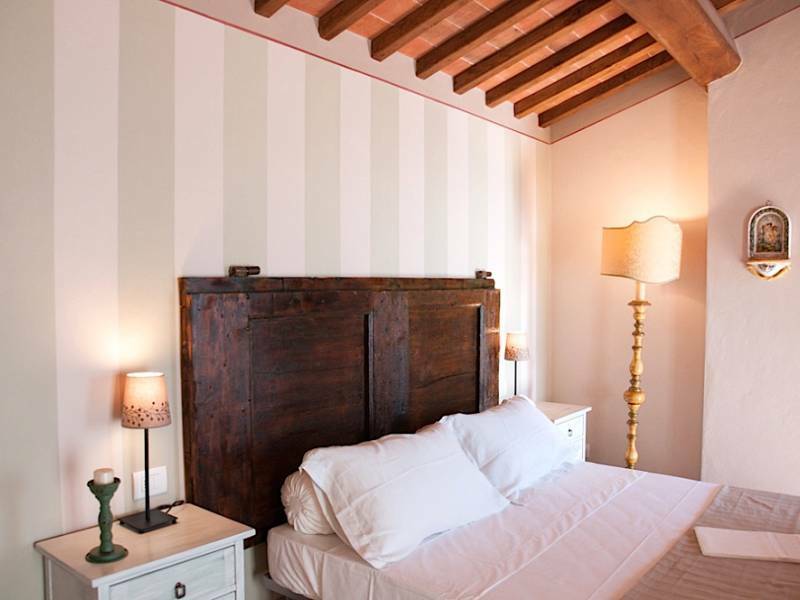 The room is equipped with air conditioning, heating, wifi, satellite TV, minibar, kettle and a hairdryer. Triple room on the ground floor, in a separate cottage. 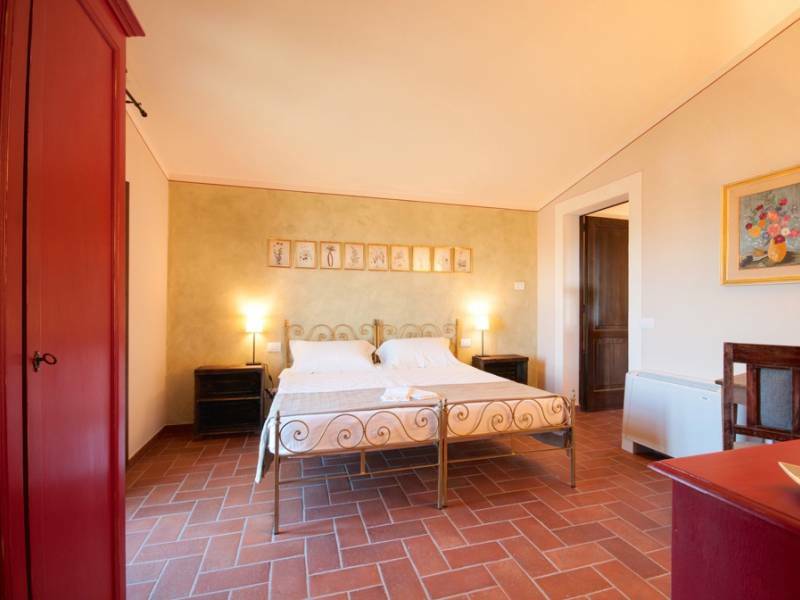 The spacious room has a double bed and a single bed. 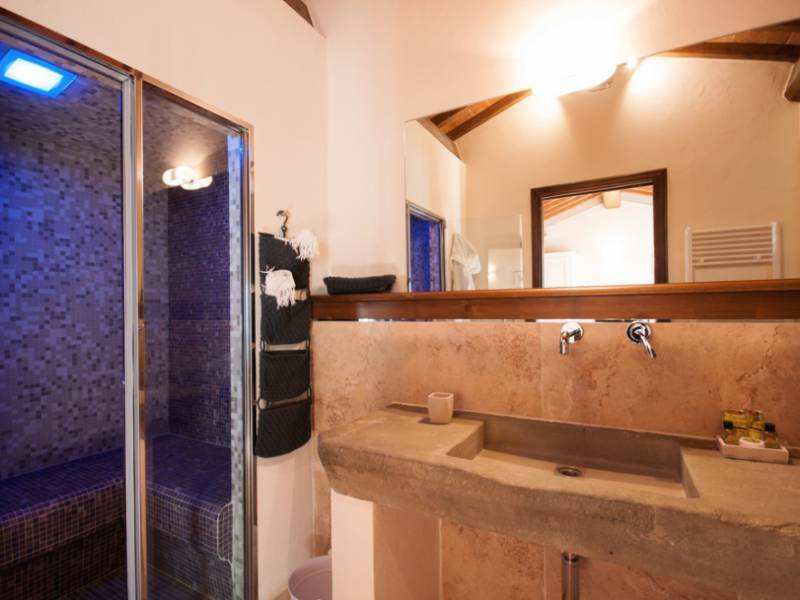 Bathroom with hydro-massage bath and a separate shower. Room C is located on the ground floor and has its own garden. 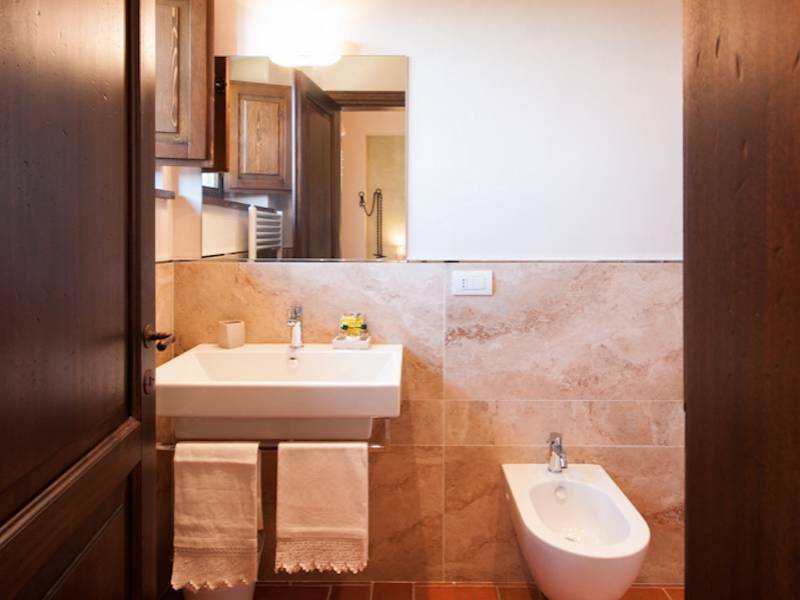 The room has a double bed and a spacious bathroom with shower. 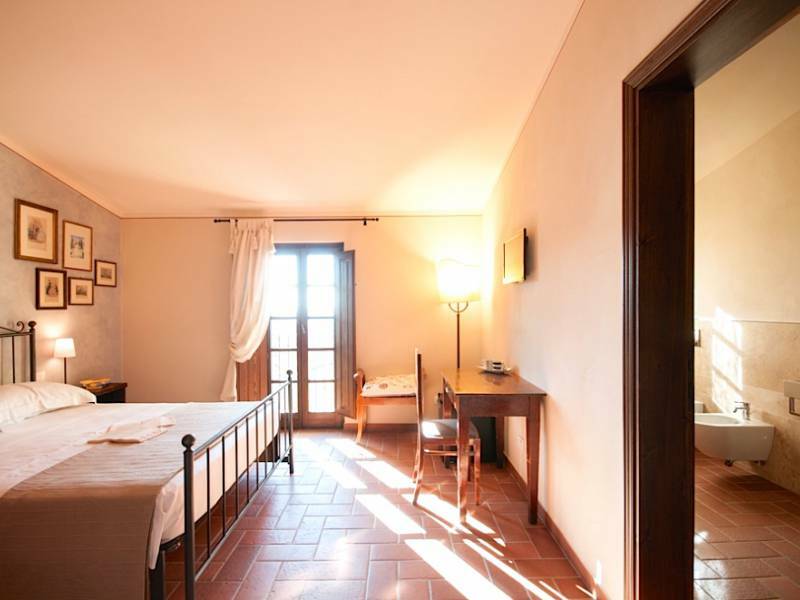 The room has air conditioning, heating, wifi, satellite TV, minibar, kettle and a hairdryer. 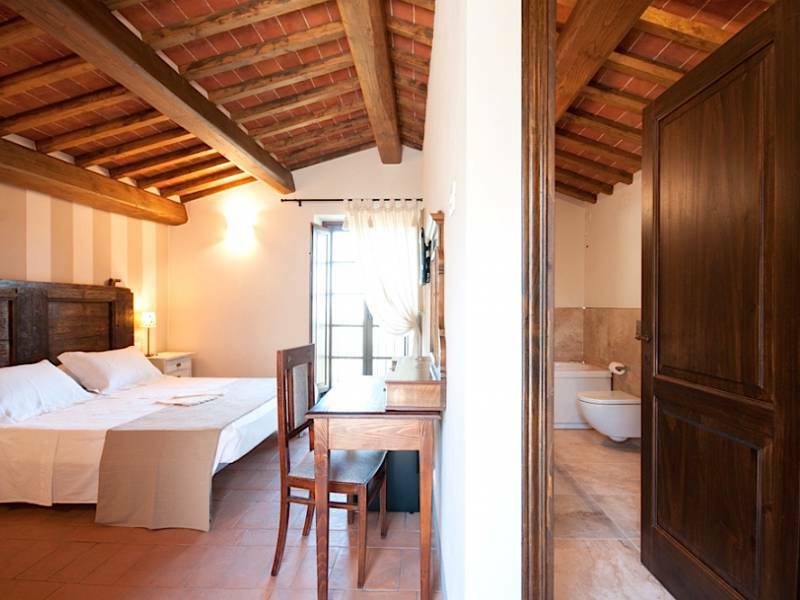 Room D is located on the ground floor and has its own garden, the room has a double bed and a single bed and a spacious bathroom with shower. The room has air conditioning, heating, satellite TV, wifi, a minibar, a kettle and a hairdryer. By three external stairs you find yourself in a living room with sofa and fireplace. 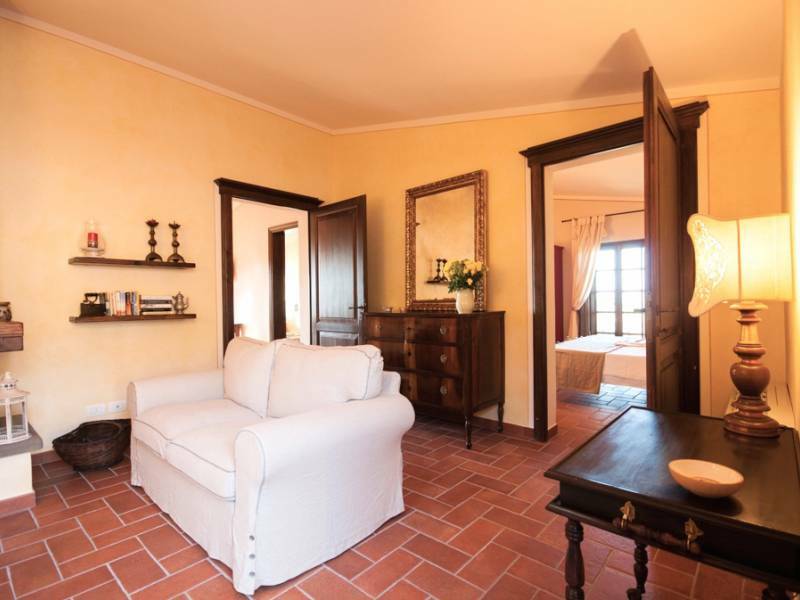 From this room you go to the rooms E and F.
The rooms can be rented separately, but because of the shared living room the rooms are also suitable for a family of four or two couples of friends. 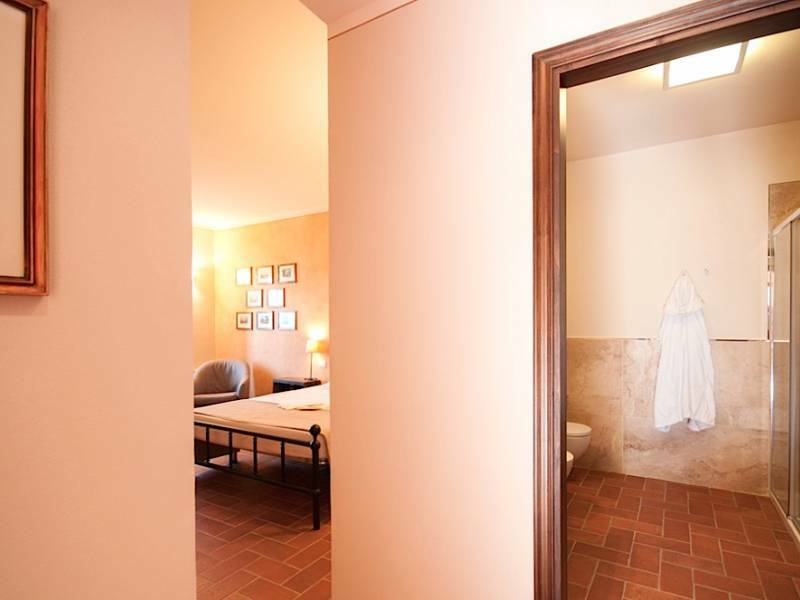 Room E is equipped with a double bed (or two single beds) and a spacious internal bathroom with shower. By three external stairs you find yourself in a living room with sofa and fireplace. 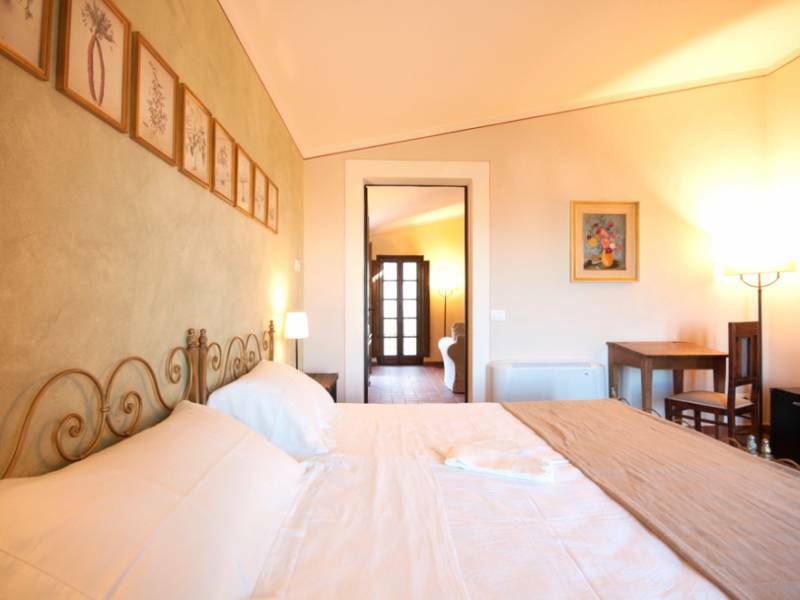 From this room you go to room E and F.
Room F is equipped with a double bed (or two single beds) and a spacious internal bathroom with shower. Pet: € 5 per day.